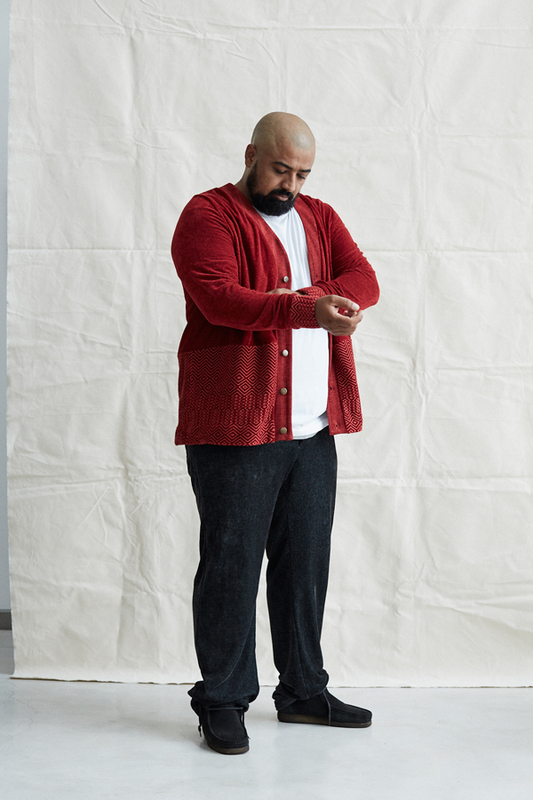 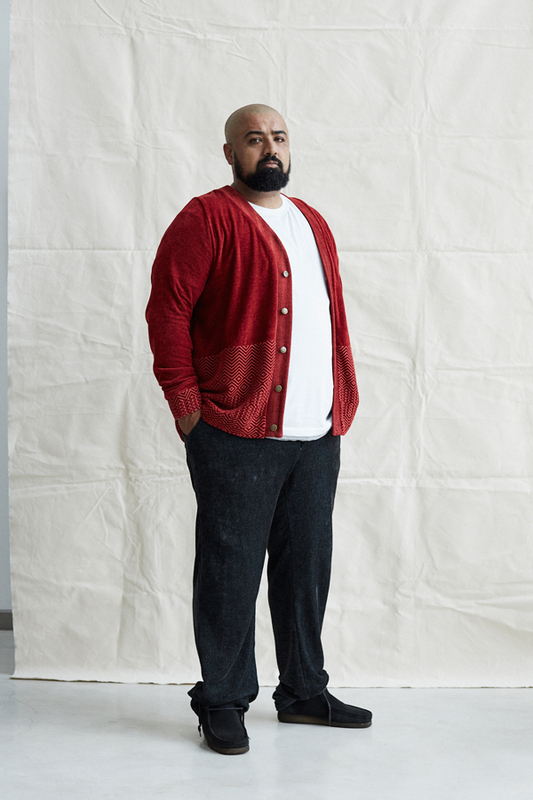 A comfort fitting cardigan, cut from 3 complimentary panels of luxurious chenille fabric milled by South African heirloom textile mill, Mungo. 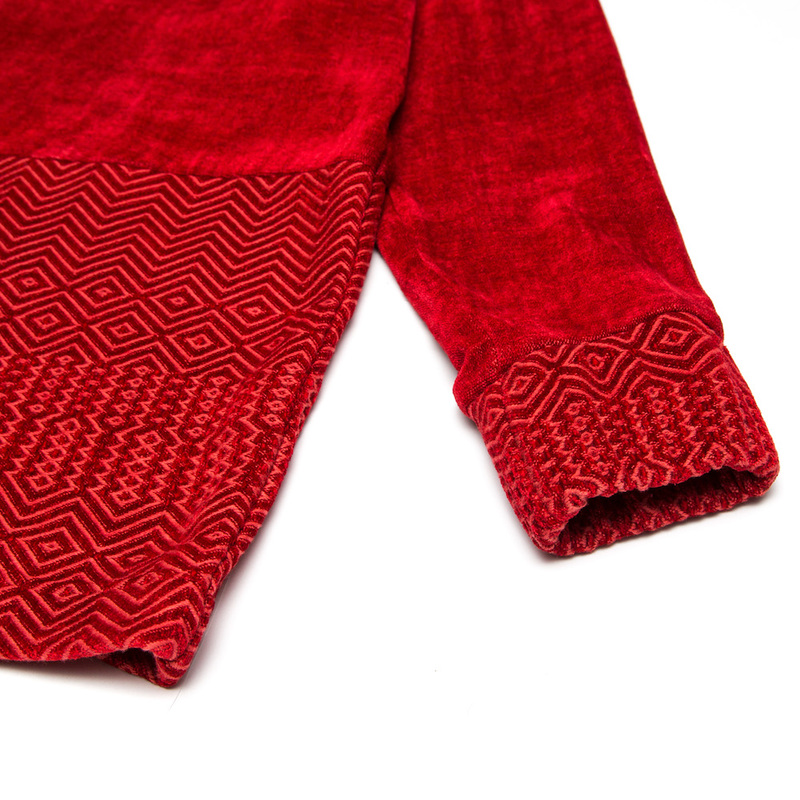 Finished with elasticated cuffs, and antique brass stud button closure. 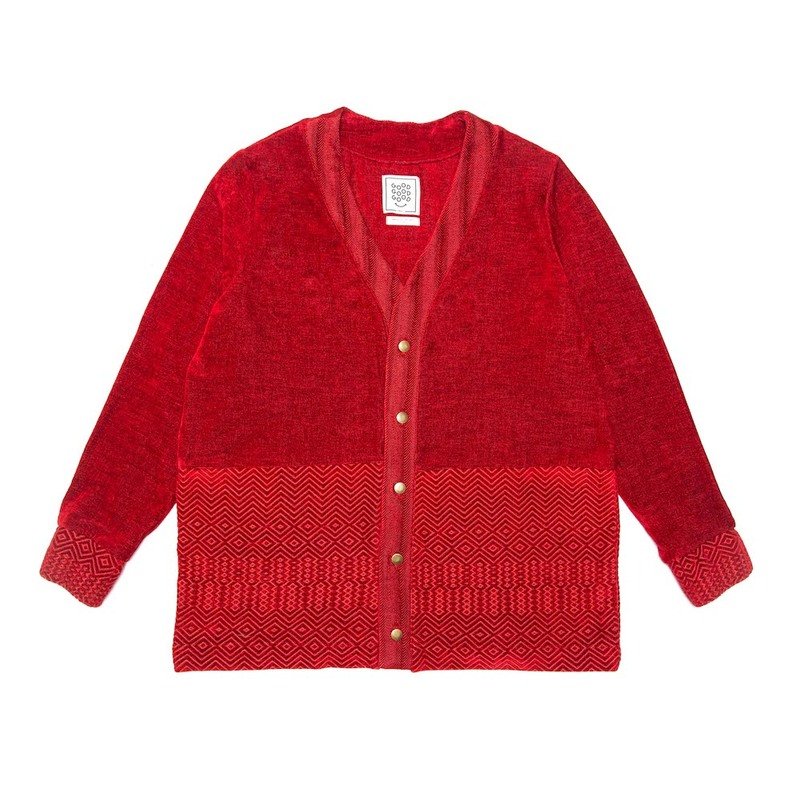 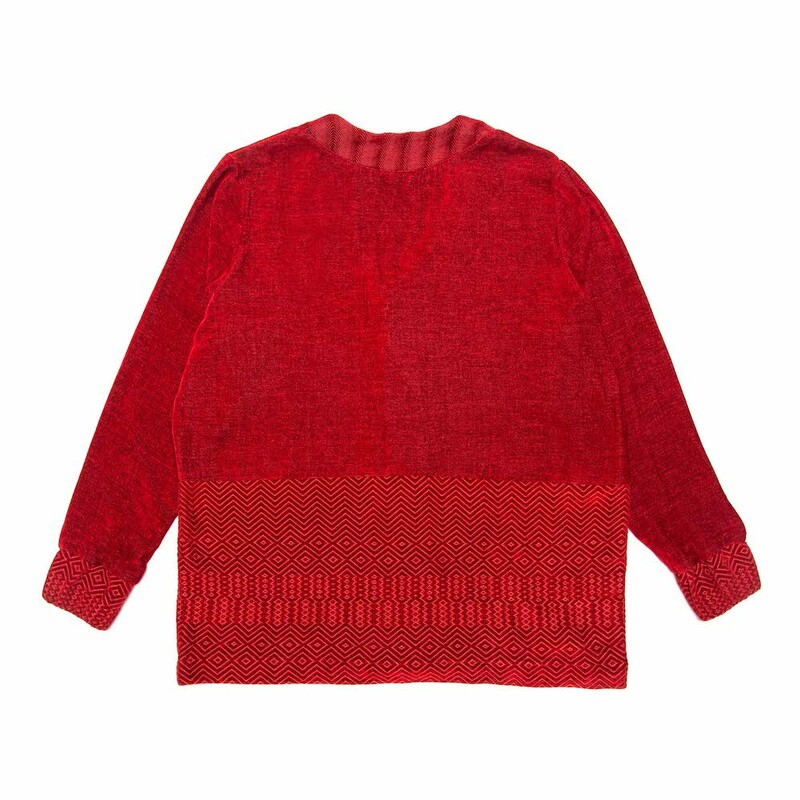 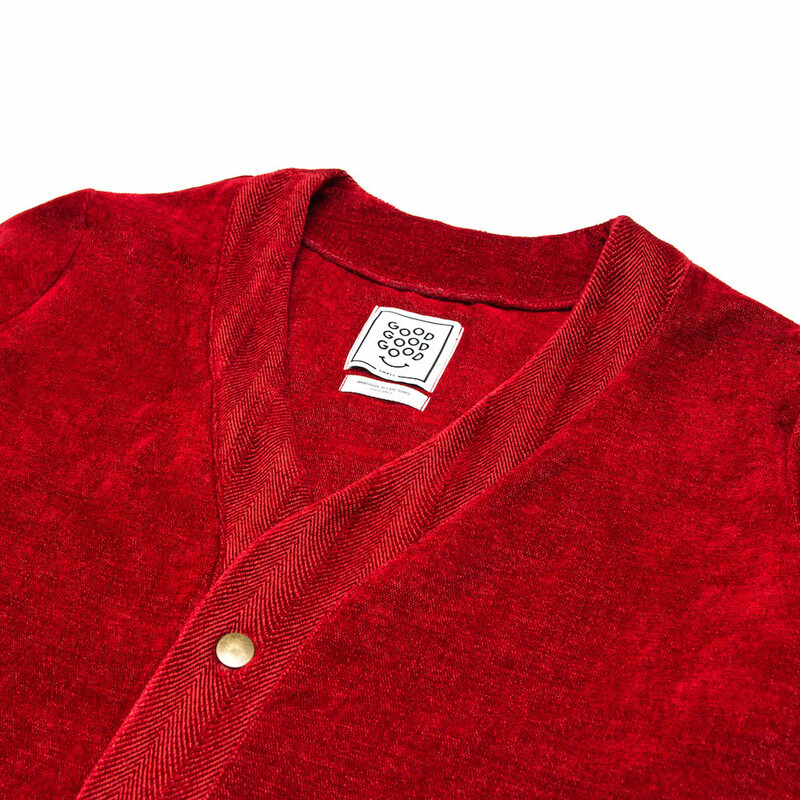 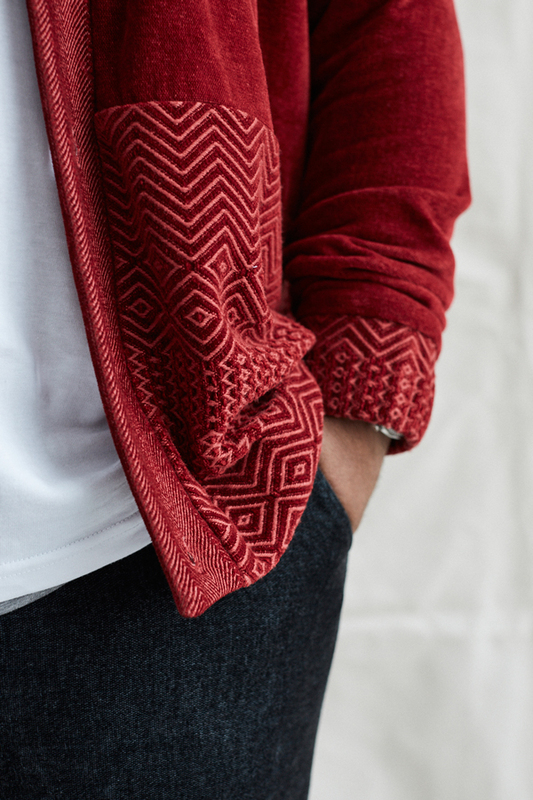 Notify me when Small Cardigan - Red Kuba Zag is available.